An extraordinary Ferrari LaFerrari in White finish has been seen at an auto dealership, standing there for a new owner. The images seen here were taken by the guys from N-D Cars Photography and posted on the GT Spirit online publication, eventually ending up in our news. The stunning Ferrari LaFerrari came into production last year, in 2013, being publicly displayed at the 2013 Geneva Motor Show. 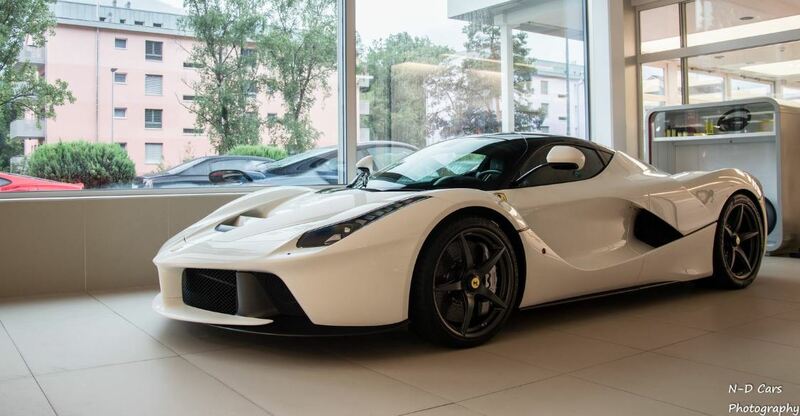 The Ferrari LaFerrari is the company`s first hybrid supercar, receiving the title of the fastest legal-road model, coming in a two-door coupe body style, rear mid-engine and rear-wheel drive. Under the hood, the Ferrari LaFerrari is powered by a massive 6.3-liter V12 unit, being backed by a KERS unit, both of them developing a total output of impressive 950 horsepower and 900 Nm of torque. 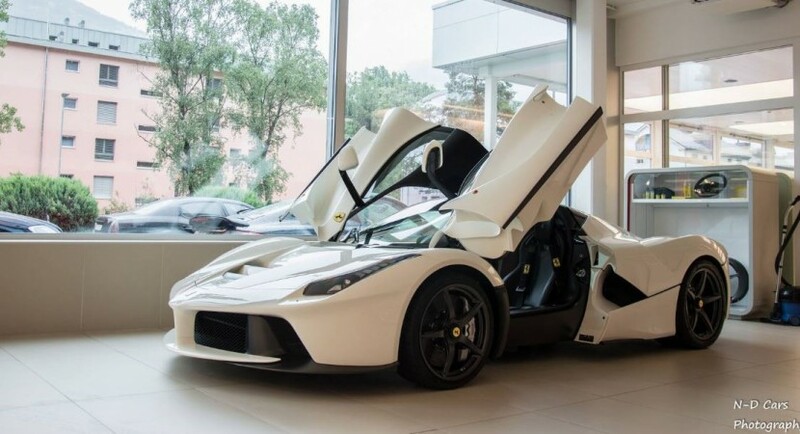 All the power makes the powerful hybrid supercar Ferrari LaFerrari reach the 0 to 100 km/h mileage in less than 3 seconds, at a top speed of 350 km/h. 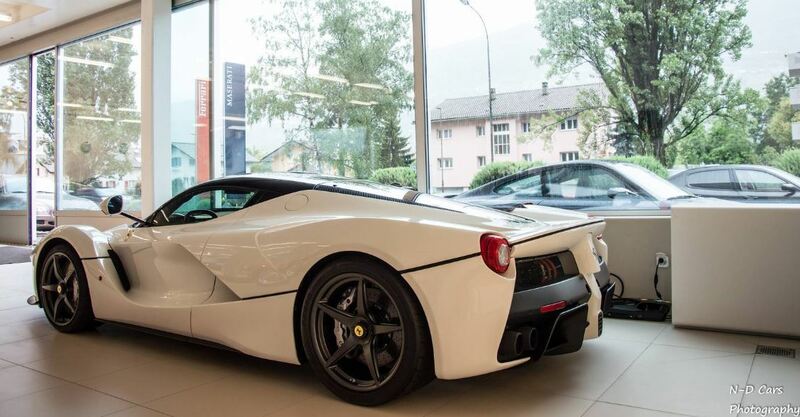 A lot of Ferrari LaFerrari models, in red and white paintjobs have been caught on shots lately, while the supercars were displayed at dealerships for future owners.